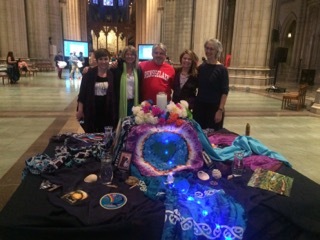 THE COSMIC MASS COMES TO THE WASHINGTON NATIONAL CATHEDRAL! 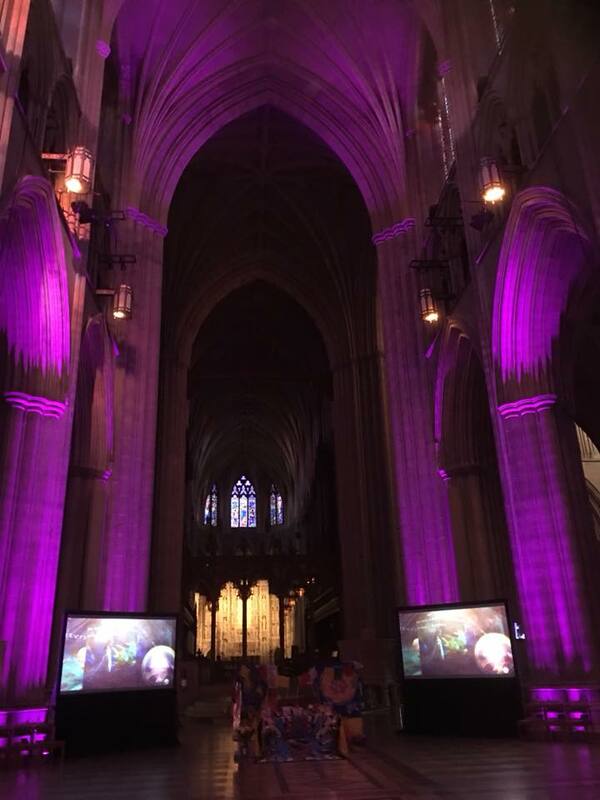 With a theme of interracial and interfaith healing, and an exuberantly multicultural cast and crew of celebrants, artists, and volunteers, the Washington National Cathedral hosted the Cosmic Mass on February 8, 2018. Matthew Fox and the Rev. 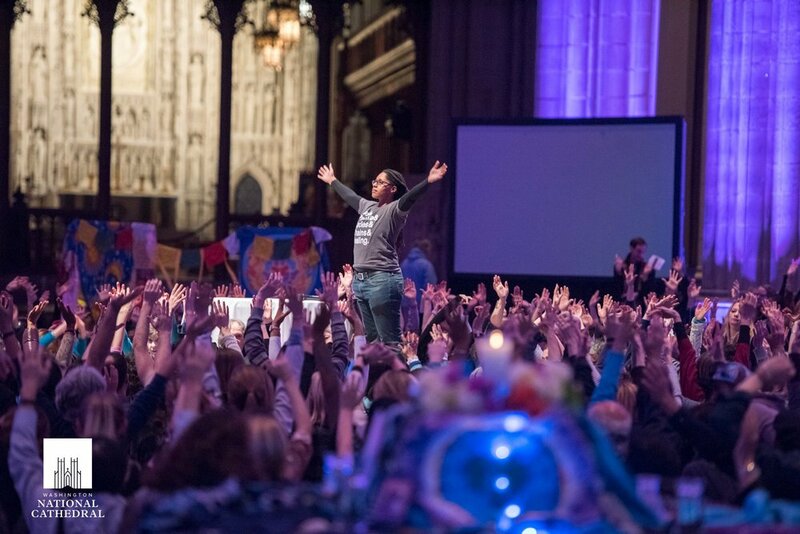 Michelle Jordan co-celebrated the liturgy, with teaching by healing artist Richael Faithful. Michelle Jordan led the music and chants, Melissa Michaels was DJ, and Alessandra Belloni and Navasha Daya offered powerful singing ministry for the offertory and closing. Karen Rugg played Native American flute, and Skylar Wilson played didgeridoo. 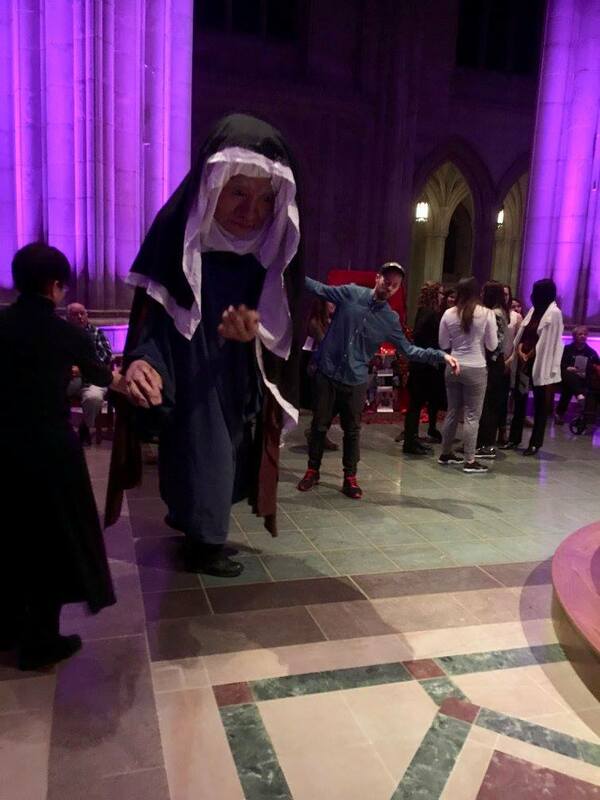 Dancing and interacting with the more than 600 participants were giant puppets craftedby Mary Plaster, representing Gandhi, Martin Luther King, Hildegard of Bingen, Frida Kahlo, Rosa Parks, Prince, John Lennon, and David Bowie. 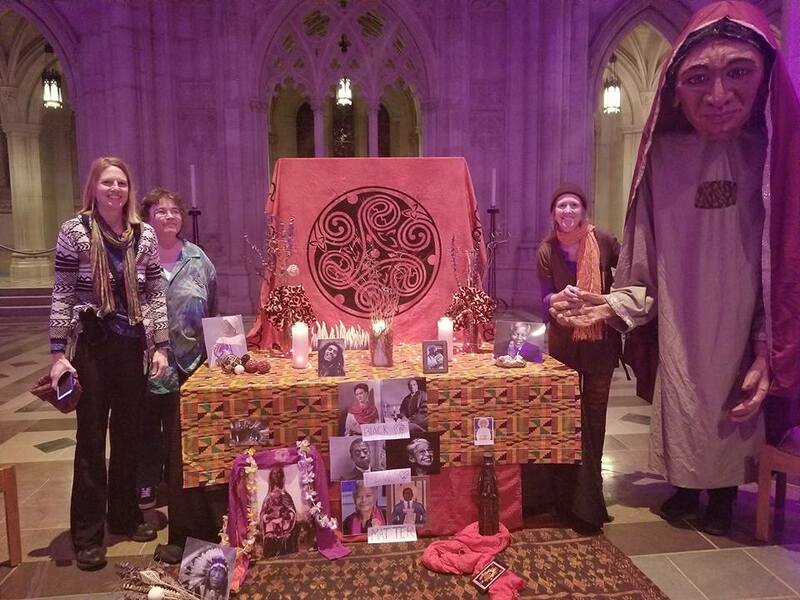 Skylar Wilson and Mariko Pitts co-directed the event with Matthew Fox, and volunteers created four exquisite altars coordinated by Cathedral staff Michelle Dibblee, Kathryn Gaughan, and Cameron Walker.